Stephanos Eliades hails from Cyprus where as a child he came to appreciate many forms of music through many different avenues. Nowadays he loves his jazz and classic rock, with Pink Floyd being one of his favourites. He reckons that the way to world peace is through more vinyl and more valves! It’ll all help to “take the edge off”. Stephanos Eliades: Growing up in the small town of Limassol in Cyprus I used to, as a primary school kid, hang around 2 shops that sold HiFi (The Sony shop and the Pioneer shop). In one of them I had the fortune to listen to the first CD player (I think a Sony CDP-101). I can’t tell you what was playing but I can remember becoming excited about how much more clear and punchier it sounded than anything I had listened to before … which was mostly on cassette through headphones. But I couldn’t have it, we couldn’t afford it – we had mostly cassette and radio at home with just a few vinyl records. TW: Were your parents into music? SE: No, not really. I was the only one. My parents liked to hear music but were never really interested in listening or having a good sound system. I have an older sister who did listen to music as a teenager and that was useful when I wanted to compile a cassette of music. Back in those days you could give a list of songs to a shop and they’d create a mixed tape for you. I didn’t speak any English at the time so I’d sing the songs by heart and my sister would write down the titles for me. I’d then go to the shop and get my tape made. However I do remember my dad buying me Michael Jackson’s Thriller, Reflex by Duran Duran and a Boney M record, Night Flight to Venus I believe. SE: It probably did although other than asking (repeatedly and for a long time) for a quality Walkman from my parents there wasn’t anything else I could do as a kid. Pocket money was very little so when I finally did get a good Walkman for Christmas, I invested in a better set of earphones for it. The next step up in my interest was when I was about 13. An older brother of a friend had a HiFi system with brands I’d never heard of: NAD 3020, Denon cassette player and B&W 110 stand mount speakers – I thought that that was just the best thing ever. That really got my interest up. I managed to save a bit of money and after visiting the HiFi shops that sold those brands I eventually (after about a year) bought my first system on a month by month payment basis. This system was a Denon PMA-360 amp, a DCD-610 CD player and B&W DM310 speakers. At that age I wasn’t into anything other than music and computers. SE: Does anyone really get to the point where they say, “Yes that’s it! I’m done!” [said with a smiley face]. I think my system is, within current budgetary restraints, in a fairly good place but I wouldn’t say it has arrived. I’ve upgraded a few things in the last 1-2 years. The preamp and the power amp are recent upgrades; I consider them “end-game” components so I likely won’t upgrade them again for a while. Next one up for upgrading is the file-replay chain and although I have a fair idea what I would like to get I haven’t started looking around yet. There are other priorities at present. TW: When you say a file-replay chain, do you intend to build or buy a music server system? SE: I built a quiet PC back in 2005 when I started ripping my CDs. It wouldn’t be considered quiet today though! I think that if you build a music server today to the same quality level as what you can buy off the shelf, you’ll be spending about the same amount of money. And you’ll need to fix it yourself when it breaks. I haven’t much time now, but when time and finances allow I’ll look at the Aurender that we heard at a Sydney Audio Club meeting a while ago. Right now I use my Squeezebox Touch to serve my music files wirelessly from a large NAS drive upstairs – I can’t really move the NAS drive down here because it’d be too noisy. However, I really want to move away from serving my files wirelessly as I get quite a lot of noise (and some drop-outs) depending on the position of my Squeezebox. I think that either a wired network or a local standalone device that stores the files might be the way to go. SE: That is a hard one… probably my old preamp which I bought 15 years ago. It had been the centre of my system for that long and had remained in place with every other component changing around it. A few months ago it was replaced by an almost identical model from the factory but I still have second thoughts about selling the old one. (BTW – I’ve spoken to the fellow that I bought my old preamp from – and 15 years later he’s still changing his system to find the perfect sound!) As well, my current speakers would be hard to sell. I’ve met and become friends with the designer and maker. I would consider upgrading them but I don’t think I’d ever sell them. 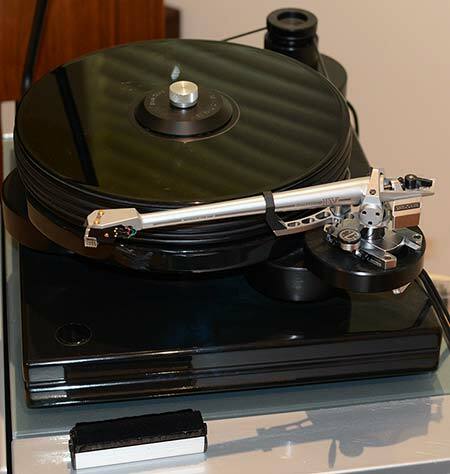 And my Esoteric CD/SACD player that I bought new was my first really expensive component and I felt guilty for ages – I don’t think I could sell it either! TW: Speaking of your speakers, Kudos Audio was an unknown brand to me. Being an English company I presume you met the designer when you lived there? SE: Yes. Since I also wanted to get back into vinyl, I visited a nearby HiFi shop that was recommended to me shortly after moving to the UK. The owner, Simon Griffin, is a big vinyl fan and after chatting a bit he recommended that I listen to the Nottingham Analogue Ace SpaceDeck turntable. I spent a lot of time visiting his shop and it was there that I first listened to a pair of Kudos Audio floorstanders. Through Simon I met Derek Gilligan, the owner of Kudos Audio and also its principal designer. It was clear to me that these speakers made a sound that I really liked so I ordered a pair. I visited the Kudos factory when they were being made and later Derek came and helped set them up. He’s a lovely, knowledgeable guy. BTW - Derek was one of the two guys that originally founded Neat hence the similarity in appearance to his Kudos Audio speakers. As well, he doesn’t voice his speakers primarily by measurements – he uses his ears. To me they just sound right. I’ve listened to some hugely expensive systems with components that measure perfectly, but they don’t always sound right to me. TW responds: most every component has a personality, a character. If you’re mixing components, you can get it wrong. It doesn’t necessarily matter how expensive the components are, you can still get it wrong. SE: My next upgrade will be a new DAC. I have a shortlist in mind although the one I would really like is out of reach currently (and will remain so unless I win the lottery). 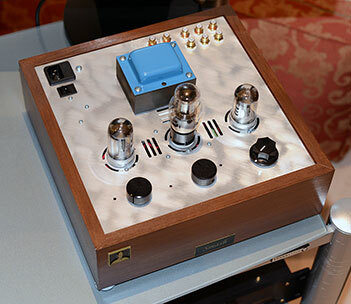 That is the new Nagra HD DAC which retails for around 22K Euros. That’s probably a “DAC too far”, and my wife would undoubtedly agree. My aim is that I’d like to find a DAC that sounds exactly like my Esoteric player. Unfortunately my Esoteric X-03SE player doesn’t have digital inputs and Esoteric isn’t prepared to add them after market. A current Esoteric DAC will probably be at the top of my short list but I need to research the market more as there are quite a few different DACs that I’d like to have a listen to before buying. As well, there’s no guarantee that a current Esoteric DAC would sound similar to my Esoteric player. SE: Memorable because they were good or bad? 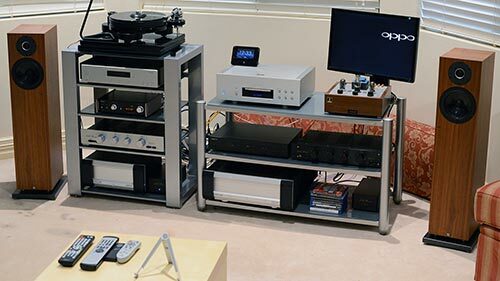 If we take the good experiences I would have to say the dCS stack (Scarlatti I believe) into a VTL valve power amp and driving Verity Audio speakers (Rienzi I believe) that I listened to at a HiFi show in the UK in 2007. In terms of emotional “grab” that was a defining moment in my HiFi journey… a kind of stop talking and pay attention moment as soon as the music started playing. It was Sarah McLachlan’s ‘Angel’ playing – voice in the middle of the room, no noise, black background, nothing harsh, just… perfect. Another memorable system (for all the good reasons!) was the Tune Audio Anima speakers and system presented by Cameron Pope of Krispy Audio at a recent Sydney Audio Club meeting. The whole system was excellent. The Wilson Benesch Torus Infrasonic Generator really filled out the bottom octaves – it sounded fast and didn’t sound boomy. SE: I had an old Carver Power amp (a late 80’s model) that I upgraded to Marantz monoblocks a while ago. It was in bad cosmetic shape and also needed the speaker binding posts fixed on one channel (which would cut out intermittently). It had the nicest VU meters though… I really miss those. It was quite grainy sounding. But did I say I really liked those VU meters?! TW: Your system seems to be setup mostly for digital rather than analogue. Do you listen mostly to digital? SE: I like both, they’re different. But I really hate these questions. I understand where people are coming from when they say they prefer one format over the other. Without meaning to offend anyone, I think CD through my player sounds very good. If you do CD well, it can sound really good. I like vinyl – I like the almost ritualistic aspect of it, looking after the record, reading the record sleeve notes. And with a digital music collection, how do you pass it on to someone? Do you just give them a hard-drive? TW responds: And do you really ‘own’ the ‘copy’? The record companies seem to now think that you just own the right to play the downloaded recording. To my knowledge there was no controversy about whether you owned a CD, or owned the right to play it. What if you buy a vinyl record – how is that any different? Do you just own the right to play it too? People around the world would go to war over that one! Perhaps the difference is that you cannot readily copy a vinyl record to create a vinyl duplicate, so therefore there is no confusion over what is the original. SE: Yes, basically. One of the things that I discovered as my system was improving was that, as I had started buying CDs in the 80s at the age of 12, a lot of them were either not recorded well or not mastered well. I really enjoyed the music on them though so I decided that I wanted to have a system that would make bad recordings bearable to listen to as well. Coming back to your question, I have a collection of music that I ‘test’ systems with and I usually use pieces of music that I know very well, that I really love and that I have listened to on a variety of systems. I look for an emotional response when I test, not just a rational one. SE: Why do you ask people this? … It’s really difficult! I think most of us would find this one very hard. I’d take an iPod – it has lots of things on it. To answer your question though… 1) Pink Floyd – Wish You Were Here, 2) Diana Krall – The Girl in the Other Room and 3) JMJ – Oxygene. In reality only number 1) is a must. SE: Musical. Sweet. Relaxing. I listen to the music and not the sound, that’s a key differentiator in the audiophile world. My system allows you to forget about the HiFi hyperbole and just listen to the music. In terms of more traditional audiophile descriptors I would say it has a fairly neutral sound with good transparency and resolving power and very good imaging. SE: For the lack of a better description, it’s like an addictive drug. Music has the ability to calm me down, to make me cry, all sorts of different emotions. Without music I find I get more impatient, I feel like I need time-out. It’s like you have a little battery inside you and it needs recharging. With work and family pressures, music is something I cherish more and more. And the time I have to sit down and listen is quite limited. It’s not something I could either give up or go without for a long time. SE: It depends what you consider high-end. Is my system high-end? If you asked me 10 years ago what the high-end was I’d have a different answer. I now think that the differentiator between low-end and high-end isn’t just the monetary investment, although that can certainly make a difference. I think that with a bit of research you can get a high-end sounding system without a huge amount of money. I think some of the high-end stuff is way over-priced. Anyways, I think I’m avoiding the question! To answer, I think the industry needs to think seriously about what the situation will be in 20 years’ time. Current trends with young music lovers are more about convenience and looks rather than sound quality. When they grow up I don’t think they’ll be spending 50K on a system to connect to a portable music player, let alone 250K. SE: I’d like to see more affordable stuff that is built well and sounds good. I would also like to see us continue to use physical media rather than move completely to ‘virtual’ media. Although I find music servers convenient, I do miss holding a disc/LP and case, reading sleeve notes as I’m listening to the music. And lastly… more vinyl, more valves!